New Jersey has what is known as a ‘Good Samaritan Law.’ New Jersey statute 2A:62A-1 provides that anyone who in good faith renders emergency care at the scene of an accident or during an emergency, is immune from liability for negligence if their participation was completely voluntary and unpaid. The public policy behind the law is to encourage the participation of good Samaritans by eliminating any concern they may have about being sued. Immunity, however, does not extend to emergency room personnel because doctors, nurses, and other medical providers in the emergency room are being paid and also because their service are not voluntary, they are required to provide emergency services as part of their job. Negligence is usually difficult to prove in an emergency situation, and it is up to the lawyers on both sides to prove or disprove that a competent doctor in the same situation would have not made the mistake or mistakes that were made. Determining the liability of first responders, such as EMTs or police officers, is more complex. If the first responder’s job did not require him to render assistance, then he is probably immune from liability. If rendering emergency assistance was part of the job responsibility for which the first responder was being paid, then there would be no immunity for negligent performance of the job. 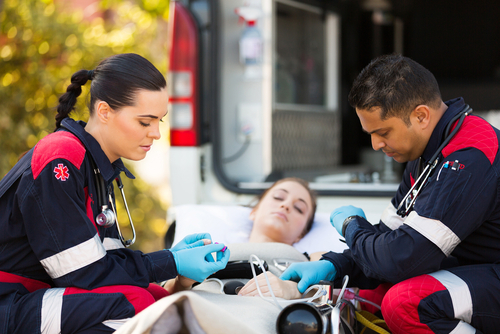 For example, the potential immunity of an EMT will often turn on whether the EMT is an unpaid volunteer or whether he is acting in the course of his employment for a private or hospital-owned ambulance service. A recent case held that although members of a volunteer rescue squad were immune from liability for malpractice, the Rescue Squad itself was not immune. Whether volunteer rescue squads will also gain immunity is an issue we continue to track. Good Samaritans can be held responsible for gross negligence, but gross negligence is usually difficult to prove and extremely rare. An example of gross negligence would be an EMT who gets into a motor vehicle accident because he is intoxicated over the legal imit while driving an ambulance. Medical Malpractice is an extremely complex legal issue, so if you have a medical malpractice case you will want an attorney who deals with these matters often and who is successful at what they do. Call Team Law today to schedule a consultation or fill out our convenient online form. ← How is ‘Pain and Suffering’ Defined in a Personal Injury Case?